Here is my newest Mini Kit "Love Is In" - it is available in my shop and is on sale for 99 cents!! Thanks so much - cute kit! Thank you so much for this post. 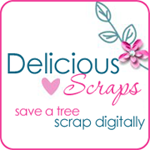 I want to let you know that I posted a link to your blog in CBH Digital Scrapbooking Freebies, under the Page 2 post on Jul. 03, 2010. Thanks again. Thanks for the freebie and Happy Canada Day! Thank you for your beatiful wishes. I hope you had a beautiful holiday. Thank you for the beautiful kit. Thanks so much for this beautiful minikit!